With more and more people becoming aware of the benefits of using organic products, Hahana Stone Massage is proud to offer an organic, coconut-based massage oil, specifically designed for Hot Stone Massage. The natural aroma of coconut oil is enhanced by the addition of exotic island flowers and soft balsamic undertones, creating an exquisite oil that harmonises the body, mind and spirit. Blended with 100% pure, therapeutic grade essential oils, the result is a balancing and grounding synergy. Specifically formulated to nourish the skin and protect your massage stones. Due to the highly stable nature of coconut oil, it is the ideal base to use for any treatment where heat is required. Capric acid and lauric acids in coconut oil also make it anti-bacterial, anti-fungal and anti-microbial. We use certified organic, cold pressed, virgin coconut oil to ensure the health benefits of the oil are retained completely. Other seed and nut oils such as almond, grapeseed, etc will denature when heated and stick to anything they come into contact with (things like massage stones, stone heaters, the skin, etc). Using Hahana Hot Stone Massage Oil will decrease your cleaning time between treatments, and prolong the life of your massage stones. 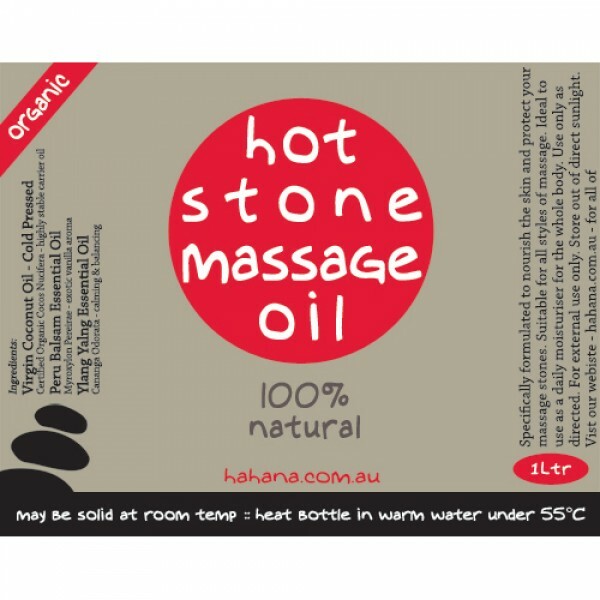 Hahana Stone Massage Oil is suitable for all styles of massage. It is ideal to use as a daily moisturiser for the entire body. Hahana Organic Massage Oil does not contain any toxic ingredients, mineral oils, sulphates, petroleum by-products, propylene glycol, polyethylene glycols (PEGS), synthetic fragrances/additives or artificial preservatives/colours. It is not tested on animals and does not contain any animal products. Did you know: approx 10 coconuts are required to produce one litre of oil! For external use only. Use only as directed. Store out of direct sunlight. Keep out of reach of children. 18 carved basalt stones	This stone set is great for incorporating Hot Stones into any style of massa..
FREE Worldwide Shipping!  What our customers say about the Hahana Hot Stone Massage Practical Traini.. This is our professional Hot Stone Massage Kit. The Professional Spa Hot Stone Massage Kit can be us..
Botanical Name: Santulum spicatum. Extraction Method: Co-distilled. Part of Plant: Wood and major.. The Accessories Pack (no Sandalwood EO) includes:	1 x Digital Thermometer** (measurements in both ..